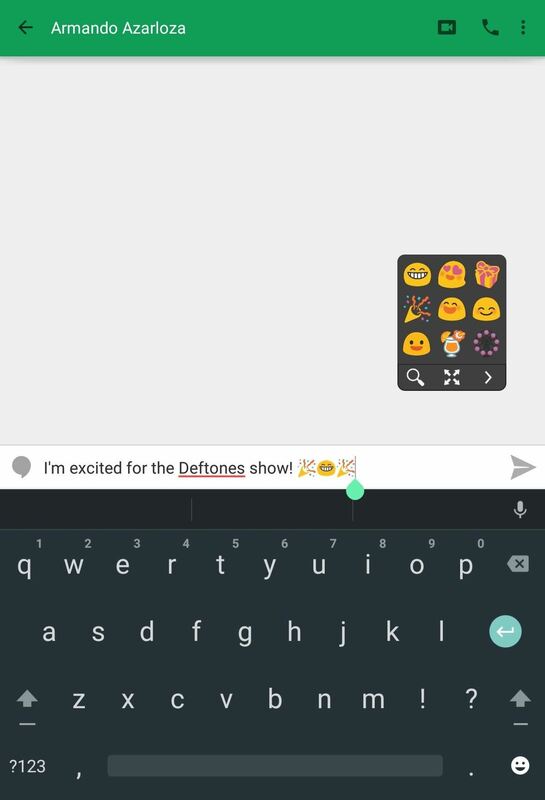 Some third-party keyboards, like SwiftKey for example, include a convenient feature that suggests emojis as your type based on the content of what you're saying. Unfortunately, many keyboards, including most stock ones, don't include this function. It's often not a convincing enough feature to make you switch from your beloved keyboard of choice, but now a new app from the creators of Minuum aim to offer emoji suggestions as a standalone app. Called Dango, the app makes emoji suggestions based on what you're saying in the text and presents them to you in the form of a non-obtrusive bubble that can be used with any keyboard. The app is in an early access stage and has yet to hit the Google Play Store, so you'll need to become a tester. Start by joining the Google+ community for Dango, and once you're accepted, hit the "Become a Tester" button. 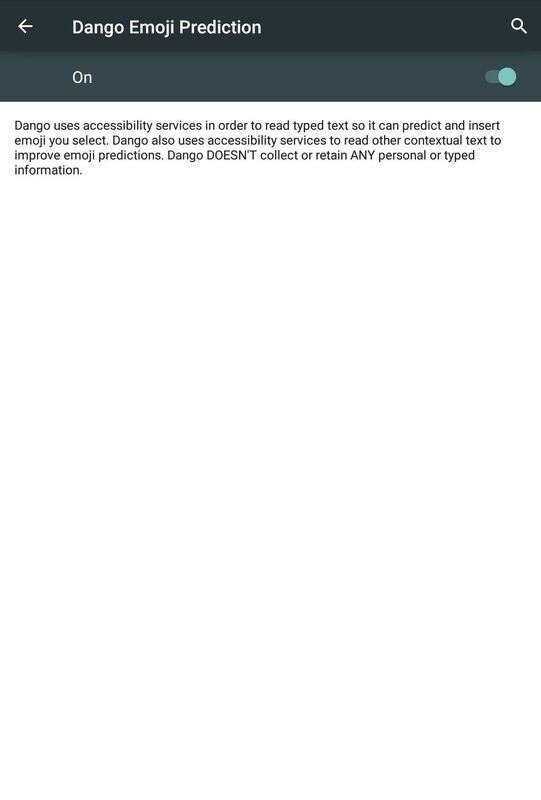 Once you officially become a beta tester, a Google Play link will be provided to you, allowing you to install Dango. 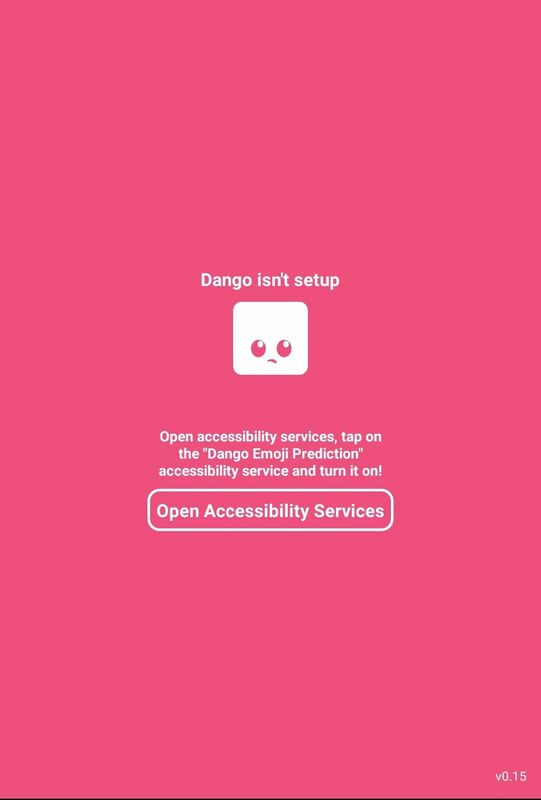 When you launch the app for the first time, it will require you to enable Accessibility services in order to match what you're typing to the suggestions it generates. Just tap "Open Accessibility Services" and toggle on the service. The app doesn't need many options, but it comes with a few useful ones. 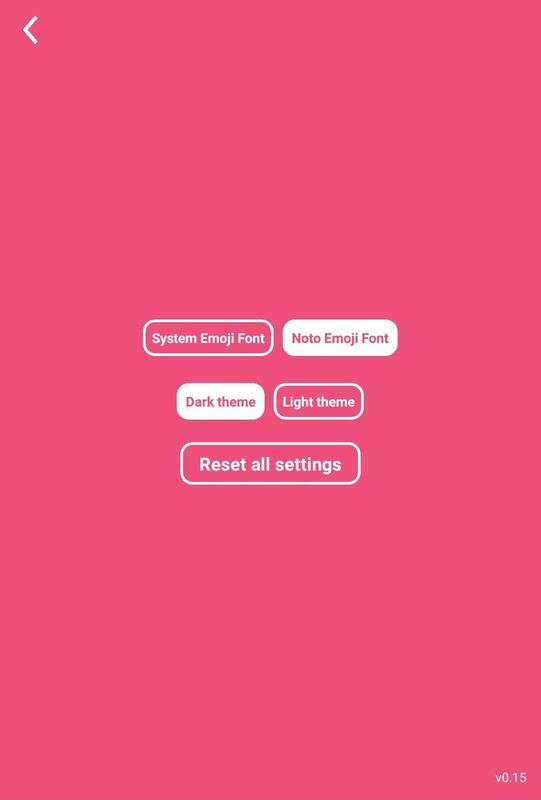 Just tap the cog icon within the app to decide whether you want to use conventional or system emojis, or whether you prefer a light or dark theme. Don't worry about being bothered with these suggestions every time you type on your device; suggestions are only given when in a messaging application like your stock texting app, Hangouts, email apps, etc. The bubble can be expanded as dragged-and-dropped wherever you want. 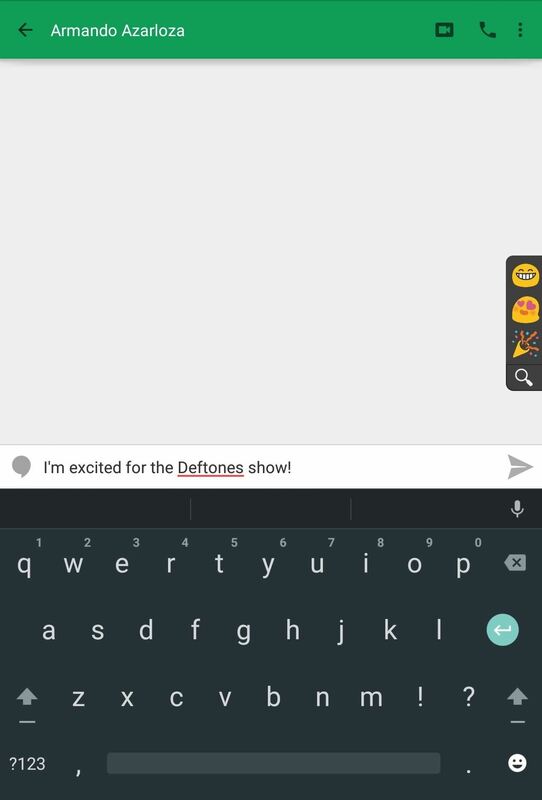 For those who want suggestions but don't want to use a third-party keyboard, Dango is definitely your app. Since it's still in beta, look for some improvements to be made in the near future.